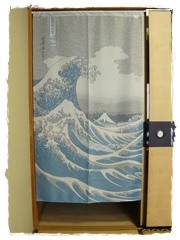 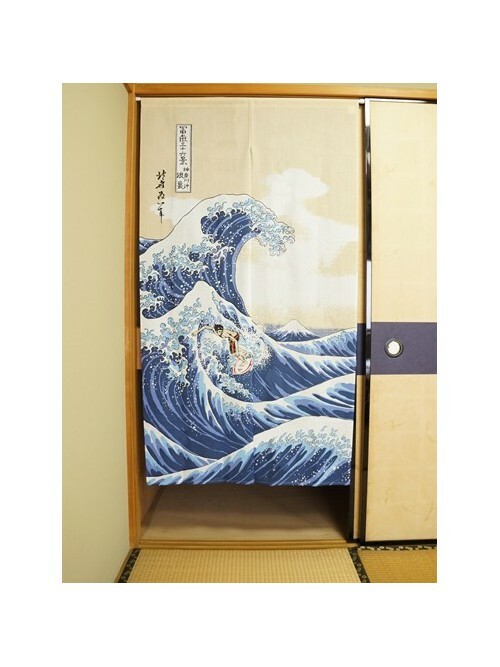 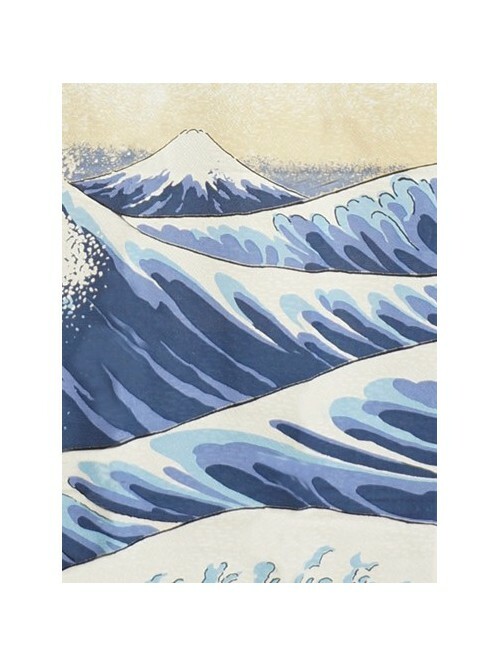 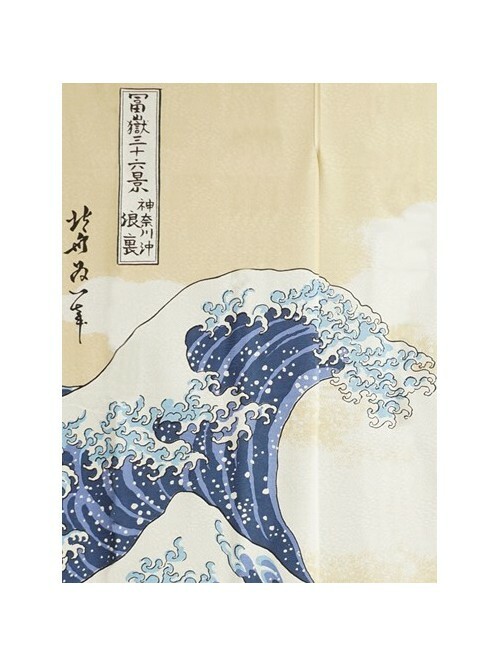 This noren is an adaptation, with lot of originality, of the most famous Japanese print: The Great Wave off Kanagawa (Kanagawa-oki name-ura) painted by Hokusai. 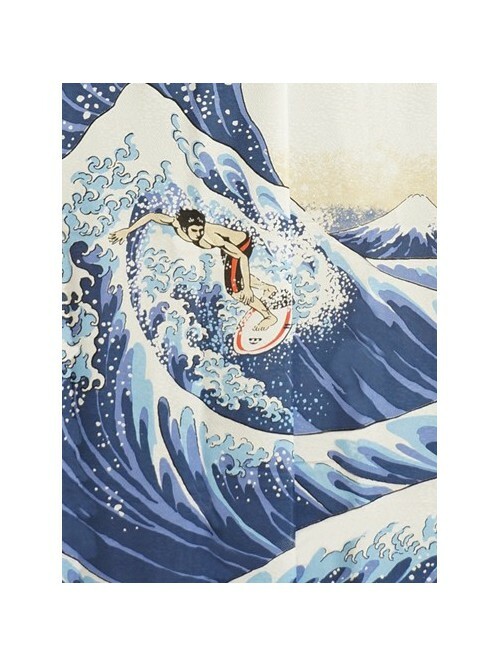 In addition of the surfer mastering the wave, you can enjoy the Mount Fuji in background. 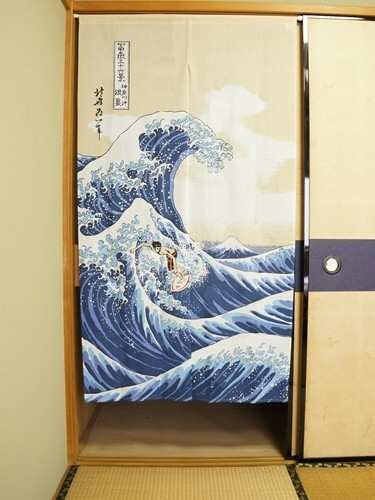 This version will delights amateurs of this water sport quite popular in Japan!